Language is the way in which all humans communicate. Humans use not just spoken language but sign language and body language too. It is an old system and one which has been around for many many centuries, as proven by such finds as the hieroglyphs in Egypt and cave carvings elsewhere. Of course, there can be no definitive proof of what was the first language but one thing can be sure, and that is that it was very different from the majority of languages we use nowadays. Almost every schoolchild knows roughly what hieroglyphs were. They form one of the earliest writing systems which is still studied today. There have been several types of hieroglyph found including ones which represent entire words, some which are used for parts of words and some which are used in the same way as our letters. It is thought that hieroglyphs as a system derived from the artistic abilities of the ancient Egyptians. 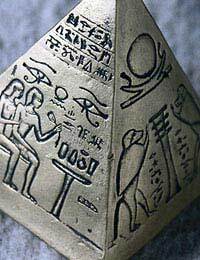 Hieroglyphs are found on all manner of ancient Egyptian artefact and were used as a complete writing system. However, the use of hieroglyphs, which was, at one point, widespread among the Egyptians faded and became something elite, only used by the nobility. Thus, ordinary people were unable to use or understand them, and after a while, they faded out of use altogether. There is no definitive proof that cave drawings were a system of communication - it has been suggested that they were merely a decoration for living spaces. But more and more experts are beginning to think that the drawings, found in caves across Europe, were a system of conveying information to one another, much like a language. There is no exact age for these cave paintings but the oldest are thought to be more than 30,000 years old - suggesting that people could have been communicating with a rudimentary form of language that long ago. Cave paintings have also been found in Africa, Mexico and other locations, although these are usually thought of as more of a religious system than a system of language. Of course, these rudimentary systems described above only scratch the surface of the beginnings of language systems. Even spoken language has been in existence for a very long time. We know this because of stories and anecdotes passed down from these times by word of mouth. We have stories and tales from any many thousands of years ago - and the Bible itself is proof that language was in existence back at the time of the birth of Christ - and at a fairly advanced stage of development, especially when compared to the cave paintings and hieroglyphs of ancient times. Language has been such a useful tool to humans and the development of the human raced, it is impossible to see us surviving without it now or ever in the future. We need language in so many facets of our lives, it is inconceivable to think of modern - or indeed any - life without. Language is virtually as important to us as food and drink.